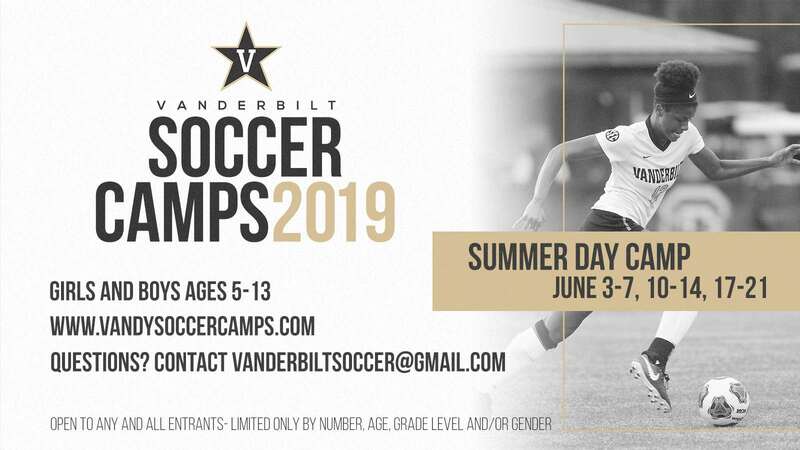 Description: Vanderbilt Soccer Youth Summer Day Camps are designed for players of all levels who want to learn and improve their fundamental soccer skills in a fun and encouraging environment. Players are given the unique opportunity to receive individual instruction from Vanderbilt Soccer's coaching staff and players. Each day is filled with a variety of activities to promote correct soccer technique including: small-sided games to encourage personal involvement and enhance the understanding of team concepts; technical and ball mastery skills sessions; shooting drills; group pool time and much more. 11:00 AM - 11:20 AM Break / Demonstrations, etc.